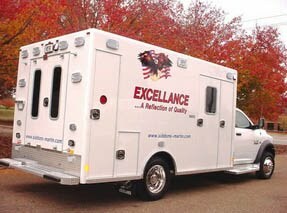 Excellance, Inc., manufacturer’s of ambulances and emergency vehicles interviewed me recently about my career in EMS and work as EMS1 Editor-in-Chief. I appreciated the opportunity to discuss my chance meeting with Kris Kaull, work at Camp Manito-wish YMCA, a typical day on the job, one of my most memorable EMS1 articles, and to pass along some advice I was once given by Michael Perry. Read the full the interview and check out the great products offered by Excellance, Inc.